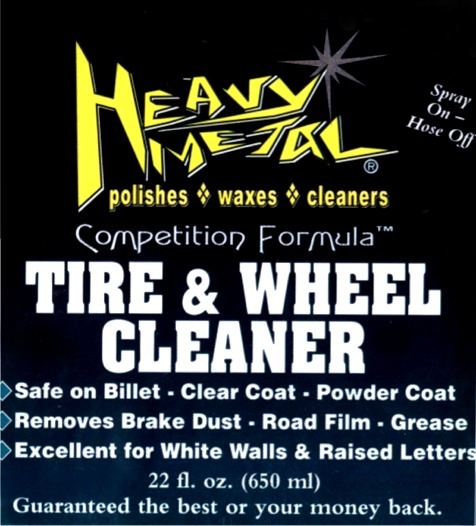 Heavy Metal Competition Formula Tire & wheel Cleaner is the quickest & easiest way to clean your tires and wheels. Including but not limited to clear coated, polished, alloys or billet aluminum wheels. Excellent for white walls and raised letters. Will not streak. Heavy Metal Competition Formula Tire & wheel Cleaner safely removes grease, grime, brake dust & road film without streaking or spotting. For added beauty use Heavy Metal Competition Finish Rubber & Vinyl Dressing for dressing your tires. 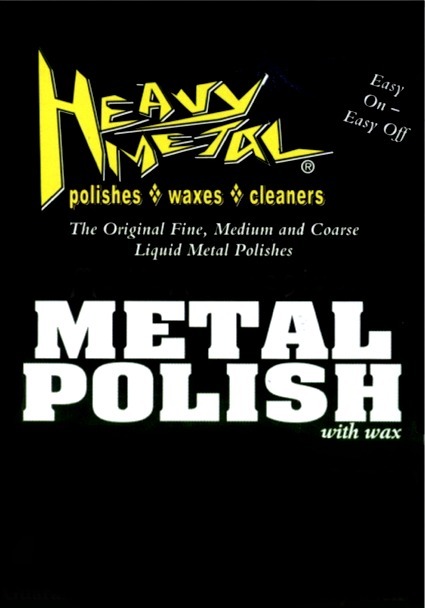 For added shine use Heavy Metal Polishes Exclusive 3 Formulas for polishing your wheels.